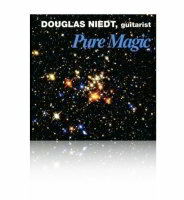 Douglas Niedt's (pronounced "neet") mission is to make you a better classical guitarist. 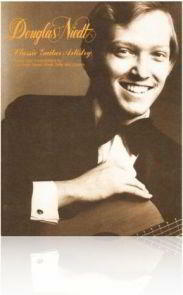 Online classical guitar instruction and lessons on the Internet since 2002. Learn to play pieces on a professional level with the PLAY IT LIKE A PRO™ series. 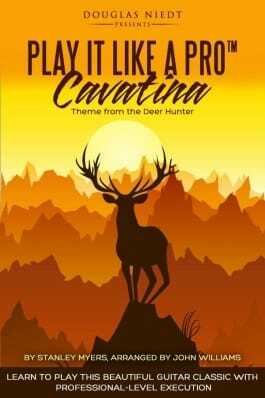 The video lessons and music scores will show you exactly what to do to play each piece with pro-level execution. 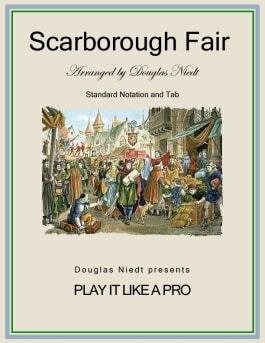 In addition to the video lessons, you receive PDFs of the arrangements in standard notation, standard notation and tab, an annotated version with detailed performance instructions, and more. 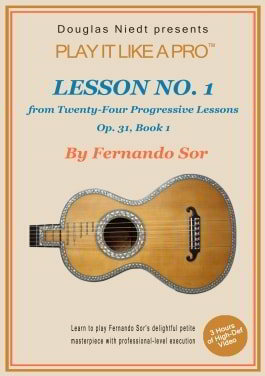 This is detailed and comprehensive classical guitar instruction you won't find anywhere else. Learn more. 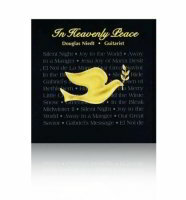 Watch video clips and see the music scores. 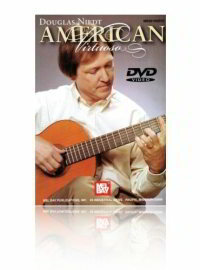 Have you been playing the classical guitar but not making the progress you desire? Want to accomplish a lot more during the time you have to practice? Are the pieces you are playing just not getting any better? 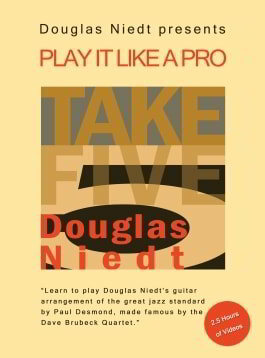 Do you need solid guidance to kick your playing up to a higher level? 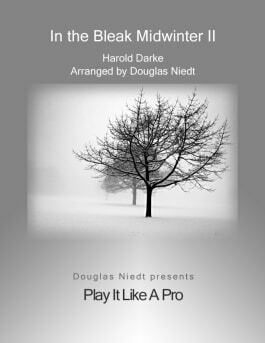 My PLAY IT LIKE A PRO™ is a series of classical guitar lessons that will teach you to play pieces at a professional level. My Classical Guitar Technique Tips are of a level and quality you won't find anywhere else. 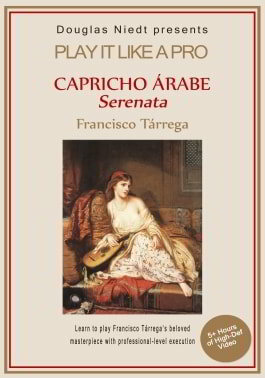 Read and follow them and you will become a much better classical guitarist. Skype online live video lessons. 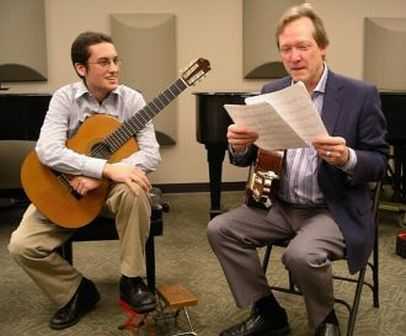 These classical guitar lessons are for everyone, from the weekend hacker to the advanced player. Learn from a master teacher with over 50 years of teaching experience. Use my Consultation Service to ask me questions and receive advice about technique, practicing, or the pieces you are learning. 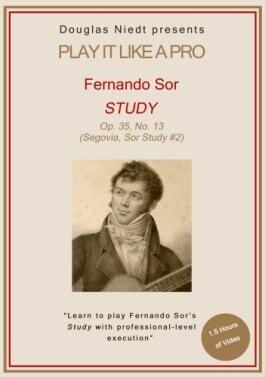 Music theory and ear training for guitarists. Improve your knowledge of the fretboard and improve your note, key, triad, and chord recognition skills. Plus, some great ear training games. Sit In With The Rhythm Section. 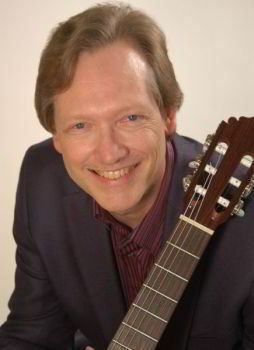 Free specialized rhythm training for the classical guitarist. 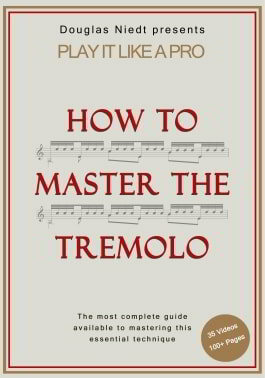 Deeply internalize a sense of steady time so you can "Hold a Tempo" and "Play In The Pocket". Over 100 free video exercises. 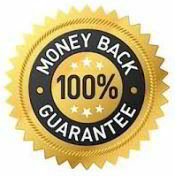 I give you my No-Risk, Nothing-to-Lose, Money-Back Guarantee on anything you purchase on my website. If you are not satisfied with your purchase, I will refund your money. Just tell me why you didn't like it so I can make it better for others." Every month you will be emailed a classical guitar technique tip filled with expert advice, guaranteed to improve your playing. These are the best classical guitar technique tips on the Internet—detailed and in-depth. Many run 10-20 pages with 10-30 minutes of high def video. 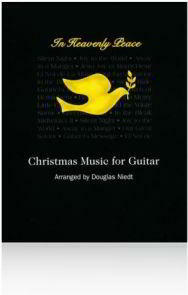 Receive full access to 100+ technique tips covering all aspects of classical guitar playing, plus Doug's special Christmas arrangements. A SUBSCRIPTION IS A GREAT VALUE! Learn more. FREE! 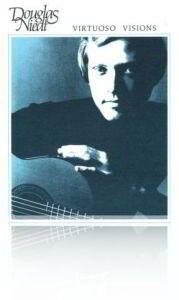 Read this great tip, The Keys to Consistent Classical Guitar Playing. Learn more, listen to clips, watch video clips. Learn more, see the music, listen to clips. 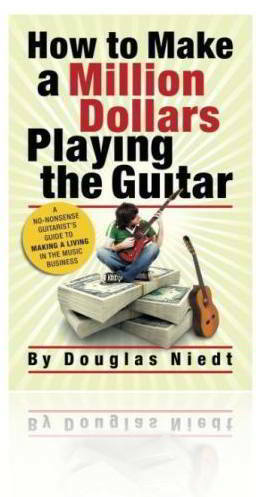 Doug's no-nonsense book explains how to earn a good living in the music business over the course of your music career. And, how to do it having more fun than a human being should be allowed to have! Then my book will help you! Learn more, read excerpts, watch videos. All Website Content ©Douglas Niedt, 2019. All rights reserved.